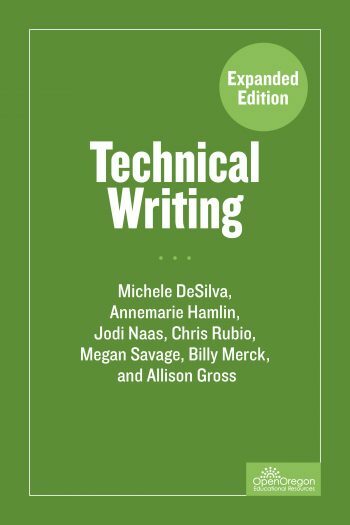 This open textbook offers students of technical writing an introduction to the processes and products involved in professional, workplace, and technical writing. The text is broken up into sections reflecting key components of researching, developing, and producing a technical report. Readers will also learn about other professional communication, designing documents, and creating and integrating graphics. Written especially for an academic setting, this book provides readers with guidance on information literacy and documenting sources. This book was collected, adapted, and edited from multiple openly licensed sources.